Shop › News › Coasting into Mother's Day No Silhouette Needed! Coasting into Mother's Day No Silhouette Needed! I am so excited to be doing my first blog post here. 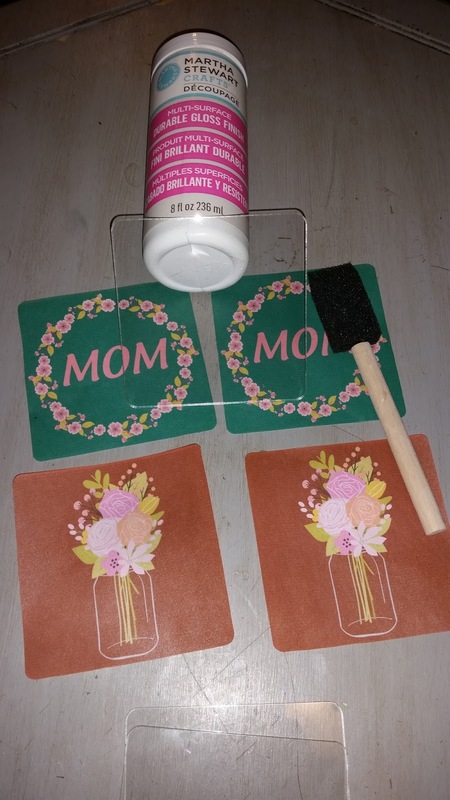 With Mother's Day being about 6 weeks away, I thought it would be fun to make some posts for Mother's Day gifts you can make yourself. 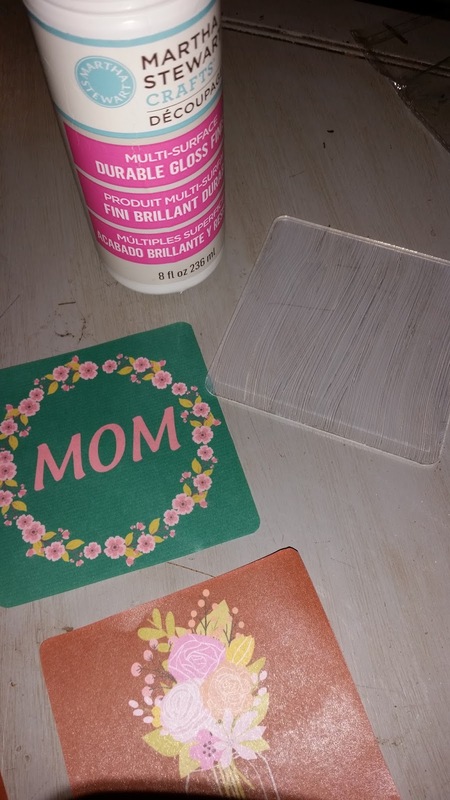 I love the blank acrylic blank coaster sets from Craft Chameleon. 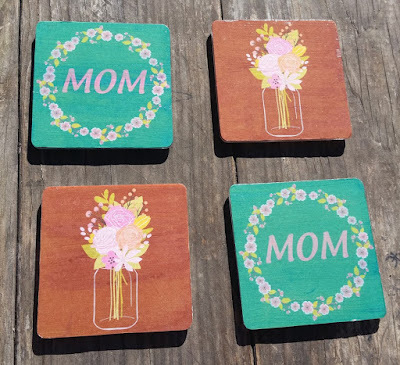 I especially love that they come in a set of 4 blank coasters and include the feet. 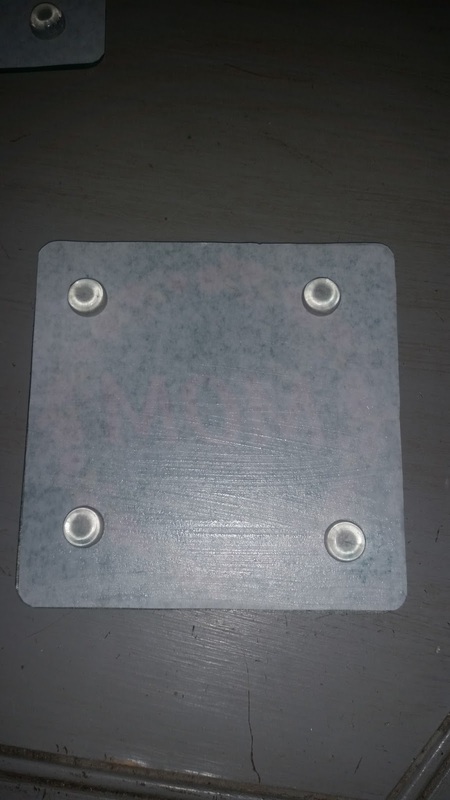 This makes it so easy to customize and finish. 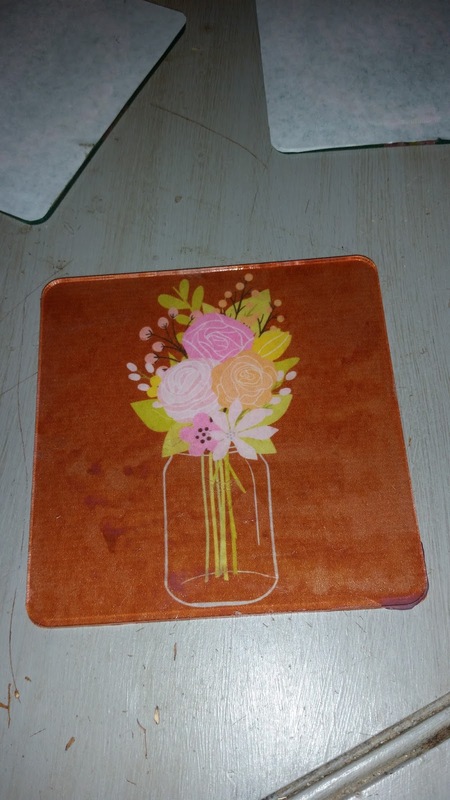 The coasters themselves are nice and thick so they hold up to lots of use. 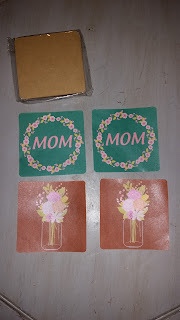 I made the design in Silhouette and printed them on my inkjet printer. 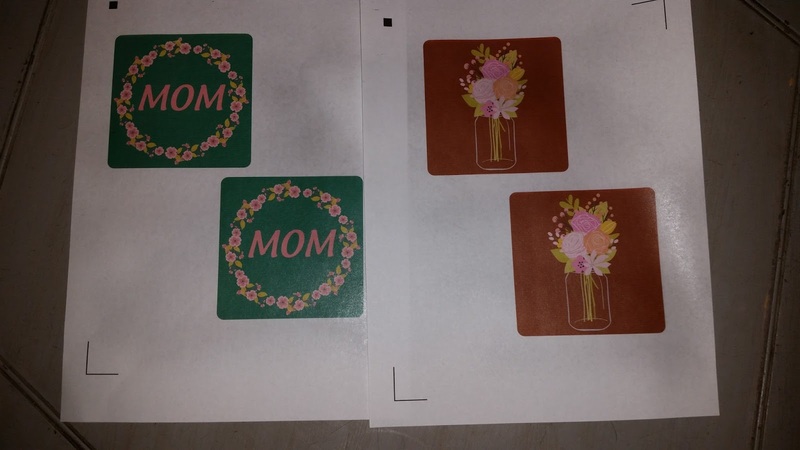 I couldn't find my cardstock so I used regular copier paper. 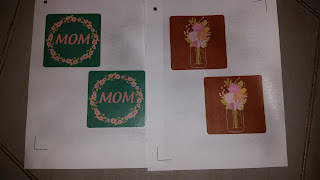 After letting the ink dry, I sprayed acrylic sealer over the images. Once the sealer had dried, I cut out the designs to make it easier to apply to the coasters. I removed the protective paper coating from both sides of the coasters. 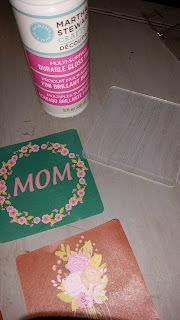 Using a foam brush, I applied the modge podge to one side of the blank coaster, which would then become the bottom side of the coaster. Then I applied the cut out design onto the mod podge, right side up. 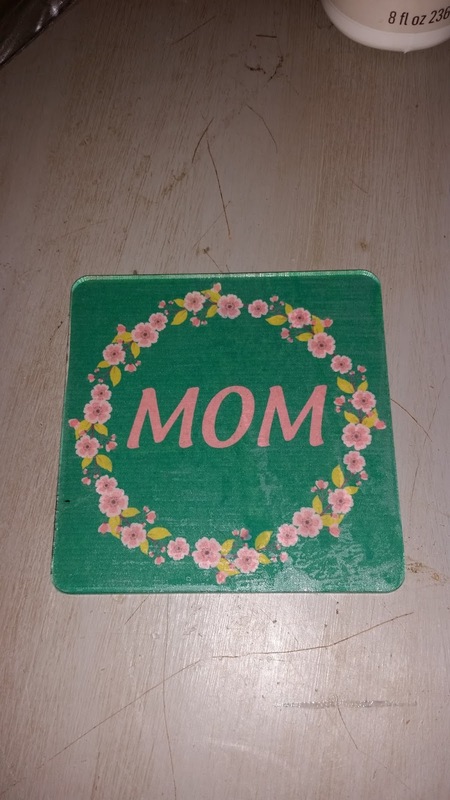 After letting the mod podge dry for a couple of hours, I applied 2 more coats of mod podge to the backside of the design to help seal it and secure it on the coaster. I applied the coaster feet right after I had applied the final coat of mod podge. 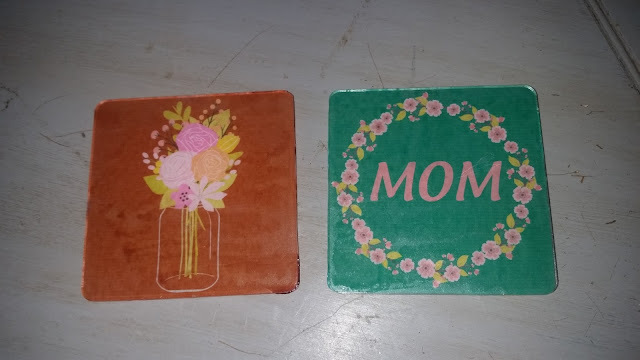 Here are 2 finished coasters. I did experience some of the ink bleeding from the modge podge even though I used a sealer. I would recommend using scrap book paper or card stock if you are printing your own images. I think the copier paper is just too thin to hold all the ink. 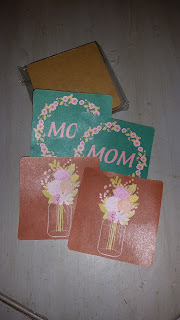 I hope this helps to inspire you for some fun and different ways to use these coasters.